Their first ever DVD! Classic archive material from London's Hammersmith Odeon during the band's 1981 tour of the UK. 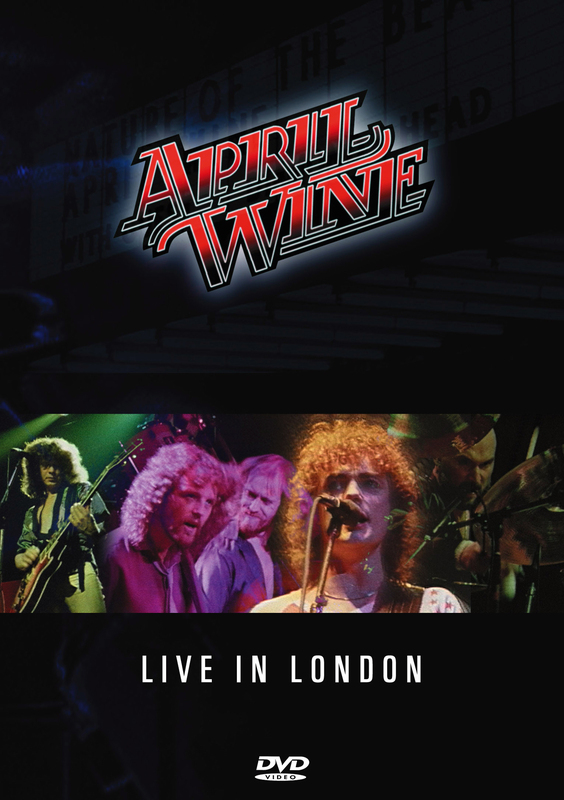 This DVD contains a complete and incredible concert performed at London's Hammersmith Odeon during the band's 1981 tour of the UK. They formed in late 1969 in Halifax, Nova Scotia and their first hit, "Fast Train," appeared in 1971, the same year as the self-titled debut album. The next year brought the band's first Canadian number one single, "You Could Have Been a Lady," from the On Record album. In 1976, The Whole World's Goin' Crazy became the first Canadian album to go platinum and their resulting tour was the first to gross one million dollars. After 1978's First Glance and 1979's Harder...Faster, 'Just Between You and Me' became April Wine's biggest U.S. hit. The single (one of three Top 40 American singles by the band) propelled 1981's Nature of the Beast album to platinum-record status. 1984's Animal Grace was their last album, but in the early 1990's all the original members joined for a Canadian tour, which convinced them to resume recording, they are still recording and touring the world to their ever-loyal fan-base. ...A tight little set for true April Wine fans or even those of us who would like to see (and hear) more of what this Canadian band was all about.